This summer was truly the “summer of love” among my friends and family; Antonio and I found ourselves invited to 5 weddings, and were able to make 3 of them. Incredibly, all of the weddings took place in August, so three out of four weekends this past month included wedding festivities! To me, there’s nothing more beautiful than a couple in love, especially a couple just starting their lives together, full of hope and expectations for the future. It’s why all the books I write feature young people in love–and it’s also why I adore weddings. I can’t help it: I’m a hopeless romantic, and now that I’m married, I often find myself reliving my own special day at other people’s weddings. My eyes always prickle with tears of joy as I watch the bride walk down the aisle and see her face full of happiness and anticipation. Then I shift my gaze to the groom, and marvel at the way his face lights up when the music swells and he admires his wife-to-be. I remember the way I felt as I took that joyous walk, which just intensifies the experience. My favorite part of weddings–besides being part of the love, of course–is the way that each celebration reflects the couple’s personalities and the things they hold most dear. With that in mind, here are my reflections on the three weddings I attended this past month. Wedding #1: Small and Intimate – We kicked off the month with the destination wedding of our friends Carlo and Samar, traveling to the stunning red mesas of New Mexico. 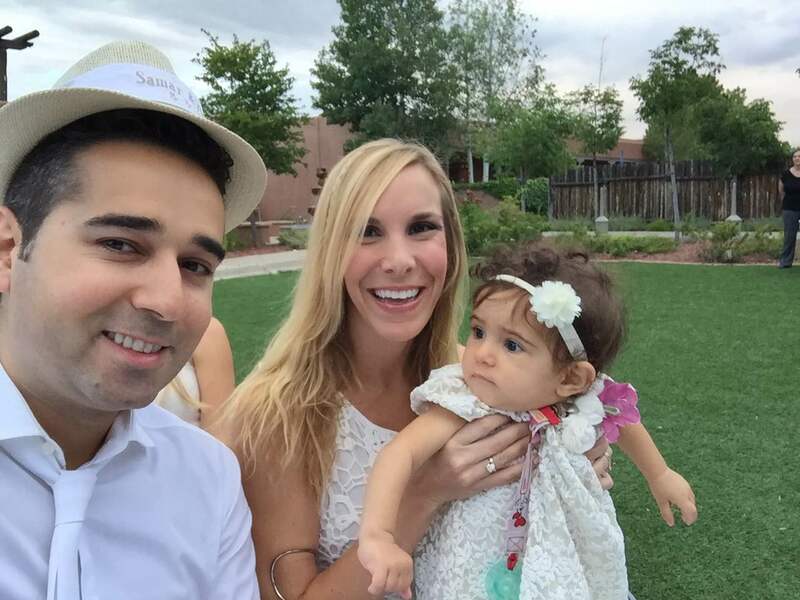 The bride and groom had planned a “white wedding” at a resort in Santa Fe, and Antonio and I were entranced not only by the beauty of the landscape and venue, but by the charming outdoor ceremony, delicious sit-down dinner, and incredibly fun group of about 30 guests. After dinner, we all went nuts dancing, and closed out the night with karaoke. We had ample time to chat with the bride, groom, and other attendees, and by the conclusion of the weekend, I’d made many new friends. Small weddings are amazing in this way; I really felt like everyone celebrated together instead of just sticking in their own little groups. Wedding #2: All-out Festival – Nabil and Salam’s wedding took place in Lebanon, and was a huge, traditional wedding that reminded me of a Lebanese festival. The day began with a gorgeous outdoor lunch of about 350 people, and then the guests all followed Nabil to Salam’s mountain village, where the ceremony took place. 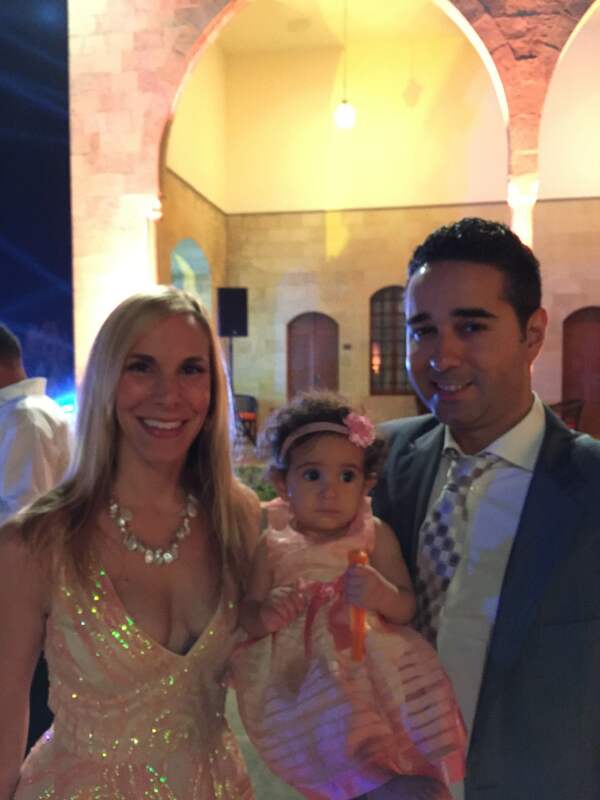 The reception was held in a castle with breathtaking views of the city of Beirut and the Mediterranean Sea. A sumptuous buffet was set up, and guests danced into the wee hours of the morning to a variety of music, but mostly Lebanese songs. As the bride and groom danced and cut the cake, huge sparklers erupted. The lights were brilliant and dazzling, but they were nothing compared to the spark in the couple’s eyes when they looked at each other. Wedding #3: Getting the Party Started – Eddy and Maya’s wedding also took place in Lebanon, and began with a touching ceremony in a beautiful old church, full of speeches by family and friends, as well as a sermon in Arabic. The reception was held at an amazing outdoor venue called Swan Lake. Sure enough, there was a shimmering lake with real swans, and down below, tables and a dance floor were set up. The venue sat atop a mountain, and the views of the city and sea were a sight to behold. The buffet was delicious, but the best part was the dancing. The bride and groom are a high-energy couple who love to party, and their arrival was punctuated with dance music, after which many of the guests stormed the dance floor. Antonio and I danced all night, reveling in the fun, club-like atmosphere and enjoying every moment with the bride and groom. Writing about these weddings and reliving the happy memories has been such a treat for me. Readers out there, was this summer full of weddings for you, too? Do you love weddings as much as I do? I’d love to hear your thoughts!